The photo above is courtesy of the archives of the Poway Historical and Memorial Society. 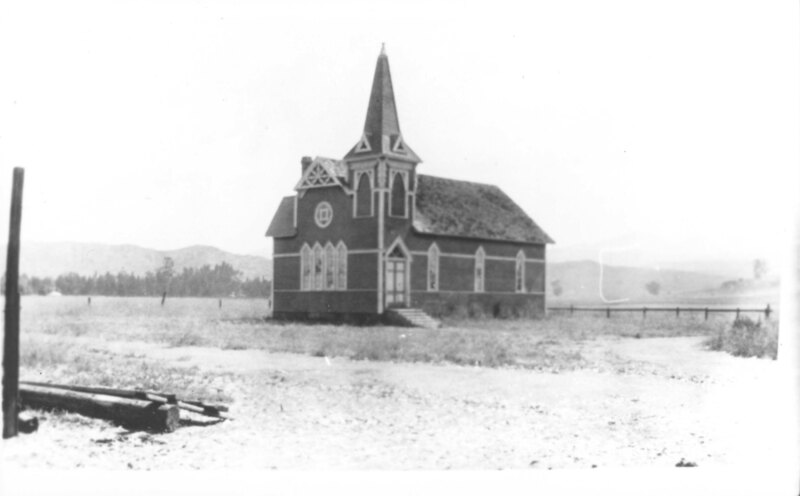 It was taken in 1916 and it shows what was then called the Poway Methodist Episcopal Church. Please note the building’s isolation, surrounded by grassy meadows on all sides. Note also the dirt road running by in the foreground. 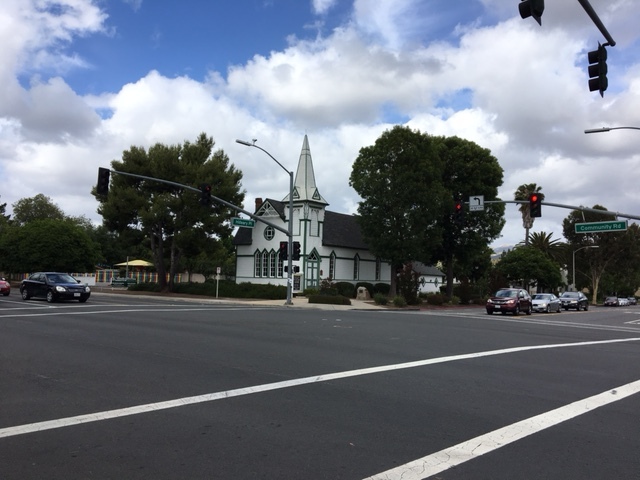 That photo shows the same building, known today as the Community Church of Poway. The surrounding meadows are now filled with homes, apartments, and shopping centers. And that dirt road has become the paved and busy Community Road, in the heart of a bustling city. In 1916 the Poway Valley was an unincorporated rural area populated by a few hundred people. It remained sparsely populated and predominantly rural until 1954, when its residents voted to connect to the Metropolitan Water District of Southern California, which brought a steadier water supply courtesy of the Colorado River. How much of a difference did that new water supply make? Four years after the Colorado River water started flowing in, Poway’s population had jumped from less than 400 to 2,800. Two years later in 1962, it was up to 4,700. Poway was incorporated as a city in 1970. The abundant water supply made all the difference. The pictures tell the story. Excellent Post Vincent. Poway , when I was a kid in the 50’s used to have a lot of peach orchards. Merry van Dam wrote a wonderful book “I Remember Poway”. It was illustrated by her granddaughter. She was 99 when she passed and had been a school teacher in Poway. She came to school in Escondido and boarded with a family during the week when she was in High School.